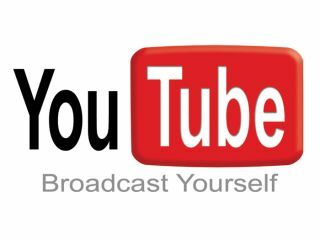 Premium music content videos will be restored to YouTube in the UK after PRS for Music announced that it has signed a new licensing agreement with the video site's owners Google. PRS for Music had fallen out with YouTube over the amount that artists got per play – but the argument has now been amicably resolved. The deal will be backdated to January 2009, when YouTube's previous licence expired and musicians will be rewarded for each view of their songs on the site. Andrew Shaw, Managing Director of Broadcast and Online at PRS for Music commented: "It is important that those who are creating music – the writers and composers we represent - be rewarded when their works are used. "YouTube is a popular online video destination, and this new licence continues to support musical talent. "This is an achievement for songwriters, composers and the YouTube community alike and it reinforces the value of our members' work." YouTube's Director of Video Partnerships Patrick Walker, was also delighted by the deal, saying: "We are dedicated to establishing and fostering relationships that make YouTube a place where existing fans and new audiences can discover their favourite content – whatever it might be. "We are extremely pleased to have reached an agreement withPRS for Musicand look forward to the return of premium music videos to YouTube in the UK where they will join a variety of other content to be enjoyed by our British users."